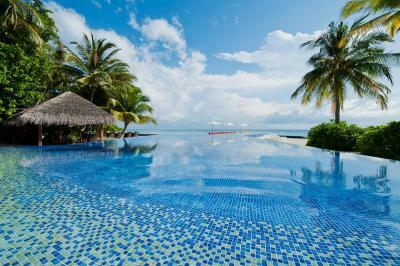 Lock in a great price for Kuramathi Maldives – rated 9.3 by recent guests! This property exceeded our expectations. It was beautiful, clean and had more than expected activities. The staff was, by the far, the best id ever seen. 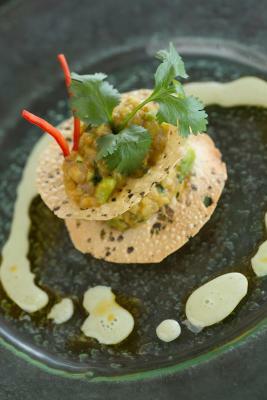 the food was delicious and we could not have asked for anything more. The servers and cleaning staff were excellent. The views,sand and water were amazing. Diving and dive staff were excellent as well as the spa staff. 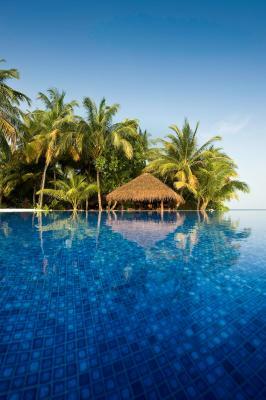 We stayed in a Watervilla and had the best vacation ever.I don't know where to start as everything was perfect.The villa was very clean,the food was amazing,the staff was very friendly and the whole organization from our arrival at the aiport,during our stay, until our leaving was great. And no doubt, we will come back!!! 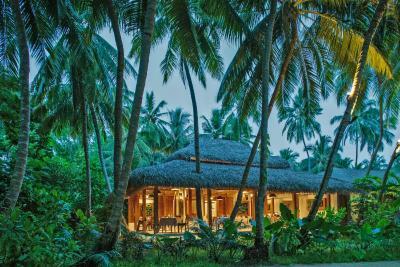 Awesome beach bungallows hiding among beautiful lavish trees and bushes while the sea is right outside the door. 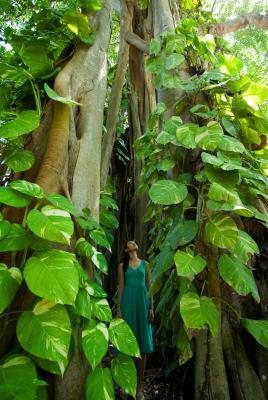 Sea life is so abundant in the south side of the island, we have never seen anything like that before ! Just need a mask and a snorkel, and it's yours ! 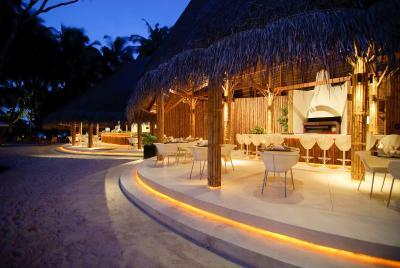 Plenty of resting opportunity on the beach, in the house, in nice bars and restaurants... Sand bank is beautiful in the sunset... Buggy service prevents you from walking too much if you don't want to. Diving club is great too! Makes it so convenient for you... Ester and Julia are especially kind and friendly. Overall, it's a fantastic getaway hotel !!! 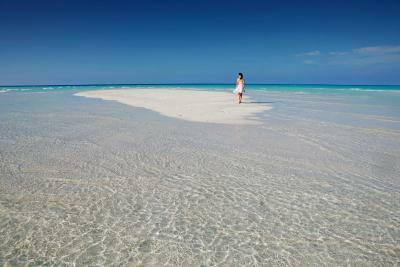 Wonderful climate, blue sea, beautiful and clean island, helpful people, peaceful apartment. Electric cars! You did not need money in the shops or restaurants, all invoices can be paid in reception when you are leaving the island. 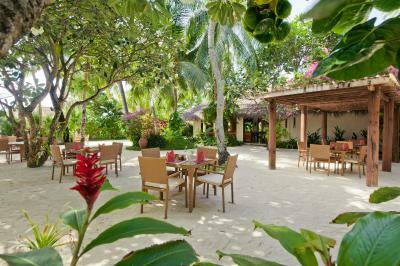 Kuramathi Maldives This rating is a reflection of how the property compares to the industry standard when it comes to price, facilities and services available. It's based on a self-evaluation by the property. Use this rating to help choose your stay! 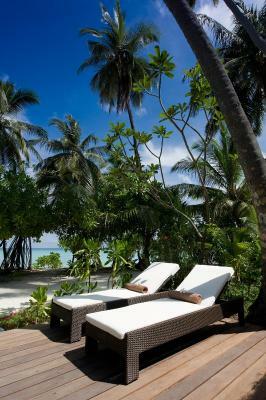 Set on a beautiful Maldivian island, Kuramathi Maldives offers luxurious private villas with a flat-screen TV and some offering a spa bath. 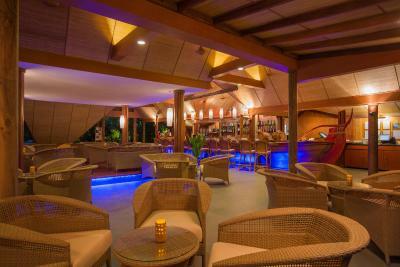 It features 12 dining options, kids club and a spa. 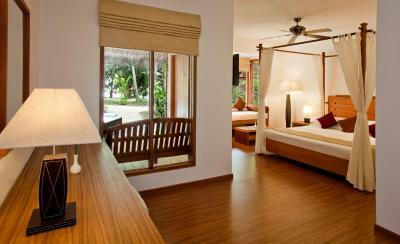 Spacious air-conditioned villas feature spectacular views of the sea and provide easy access to the beach or gardens. 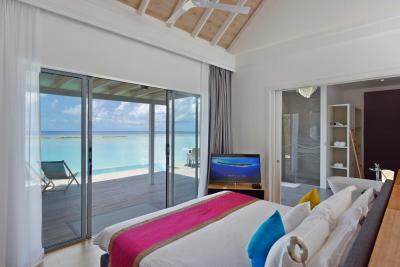 All villas have cable TV, DVD player and iPod docking station. 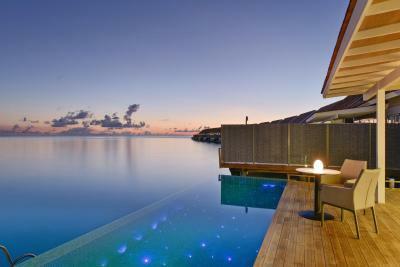 All villas have mini-bar and in-room safe, while some villas offer an espresso machine. 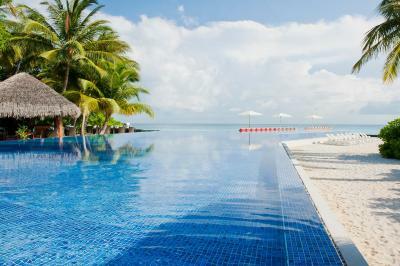 Guests can relax at the resort’s 3 outdoor pools. 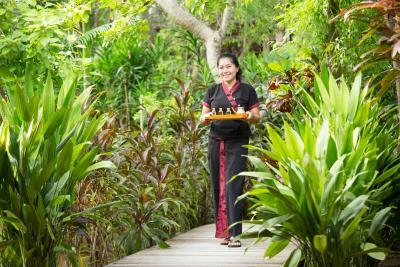 A spa offers a range of massages, facial and body treatments. Water sports and diving are available at water sports and dove centers. 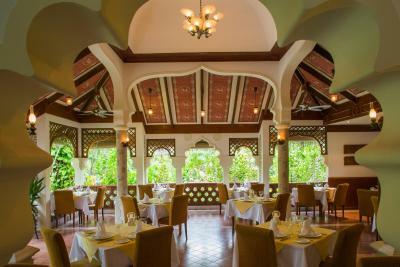 Kuramathi’s 3 main restaurants serve international buffets for breakfast, lunch and dinner. 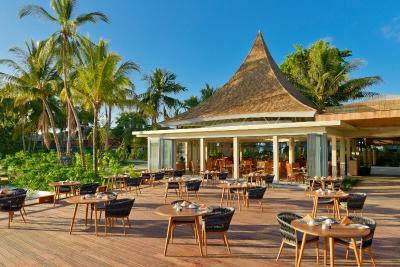 Guests can also enjoy fresh seafood at The Reef and traditional barbecues set on the beachfront at Island Barbecue. 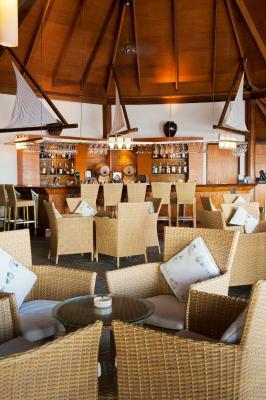 7 bars offer refreshing drinks and cocktails. 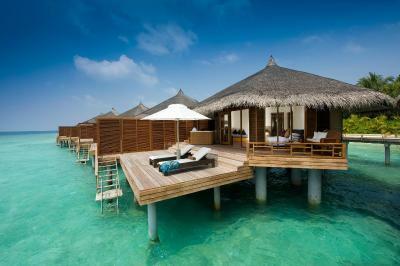 Kuramathi Maldives is a 20-minute seaplane ride from Malé International Airport. 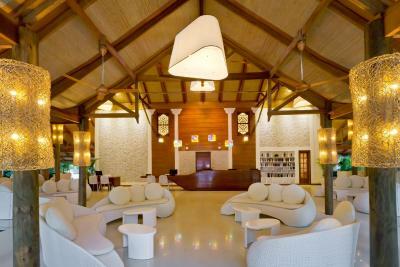 Guests will be greeted by a hotel representative on arrival at the airport. 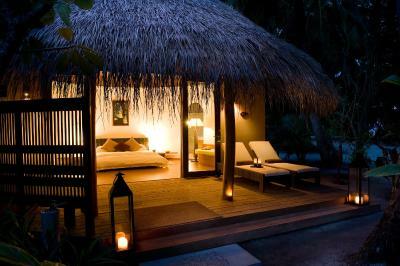 When would you like to stay at Kuramathi Maldives? 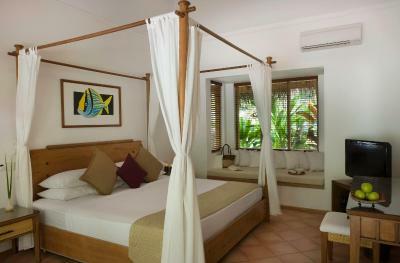 This room features a king 4-poster bed, outdoor deck with daybed and lounge chairs for 2. 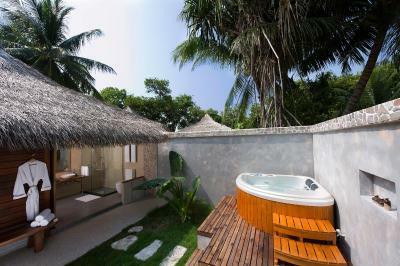 It also has a large open-air bathroom and a spa tub. 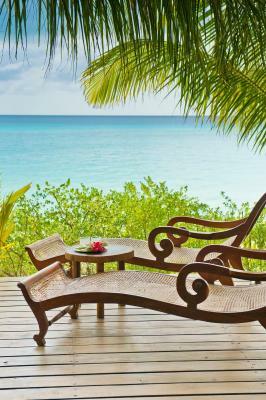 Featuring an outdoor spa tub, daybeds, lounge chairs and sun umbrella and on an elevated deck, this villa includes a king four-poster bed and a built-in sunlit daybed. 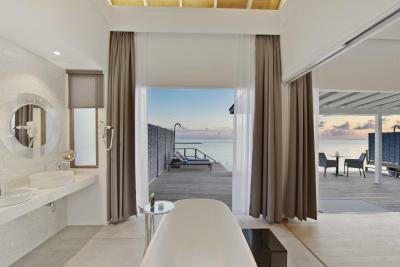 The bathroom has a bathtub, twin vanities, shower, and a expansive outdoor area with a rainfall shower. 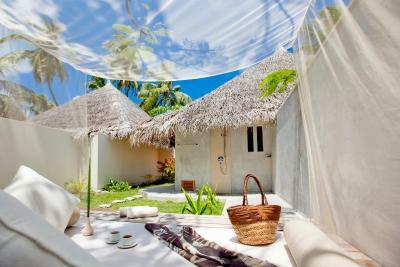 These modern, round-shaped villas have a wooden deck featuring a built-in outdoor daybed and lounge chairs. 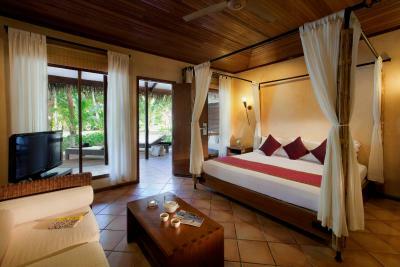 Also included is a king low bed and an open air-bathroom, which leads to an outdoor spa tub. 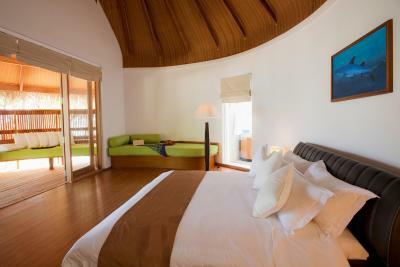 Built on stilts and close to the house reef, this villa features an airy bedroom with a king bed, a spacious bathroom with twin vanities and rainfall shower. An oversized two-tiered deck comes with a spa tub, lounge chairs and sun umbrella. 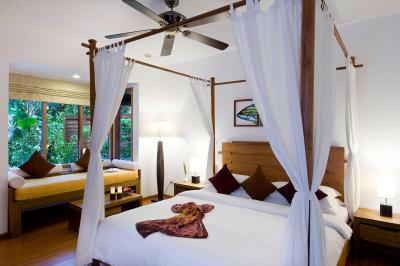 Surrounded by vegetation and a few steps from the beach, the villas feature a king 4-poster bed, a large wooden deck with daybed and lounge chairs. 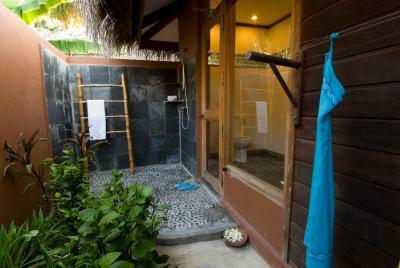 It also has a semi open-air bathroom with an outdoor rain shower. This villa has a DVD player, air conditioning and bathrobe. This villa features air conditioning, bathrobe and mini-bar. This villa features a DVD player, mini-bar and bathrobe. 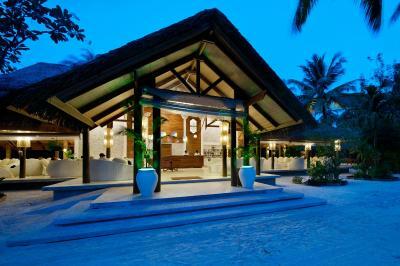 This villa features a DVD player, mini-bar and air conditioning. This villa has a mini-bar, DVD player and bathrobe. 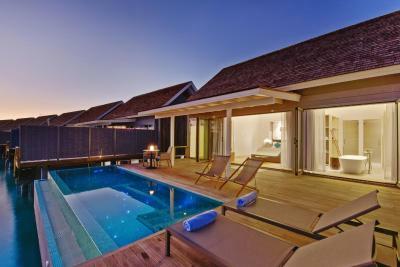 This villa has air conditioning, bathrobe and mini-bar. 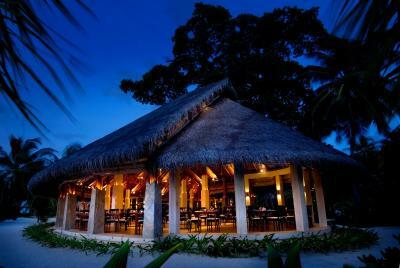 House Rules Kuramathi Maldives takes special requests – add in the next step! 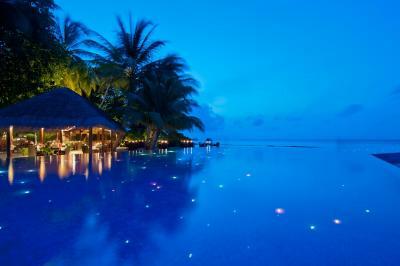 Kuramathi Maldives accepts these cards and reserves the right to temporarily hold an amount prior to arrival. A Christmas supplement of US$150 and US$100 applies for adult and child respectively, on the night of 24 Dec.
A New Year supplement of US$200 and US$135 applies for adult and child respectively, on the night of 31 Dec.
All supplements are subject to 10% service charge and applicable GST. 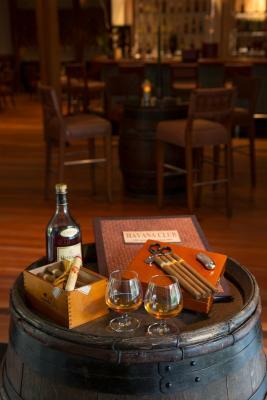 Please note that children can only be accommodated if the same is conveyed to the property prior to guests arrival. Please note, guests must advise arrival and departure flight details at the time of booking, at least 72 hours prior to arrival. 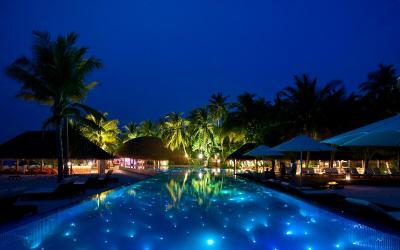 The resort will arrange for a round-trip seaplane transfer to Kuramathi Island from Malé International Airport. Seaplane takes 20 minutes. 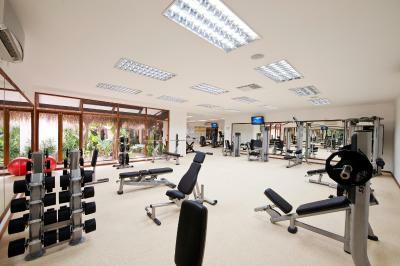 This additional cost is to be paid directly to the resort. 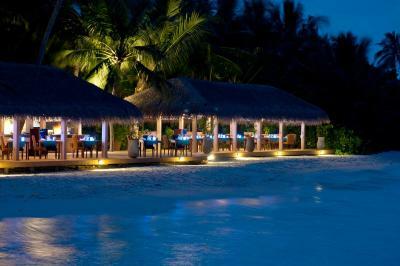 The resort accepts payment in USD currency only. All major currencies can be exchanged at the applicable conversion rate. Arrival transfers from Malé International Airport to Kuramathi begin from 06:00 and continue during daylight hours. 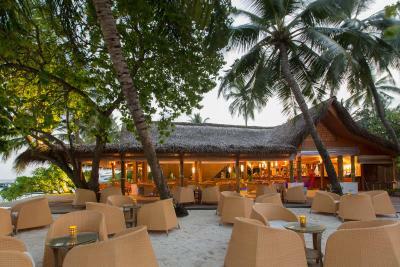 Guests arriving in Malé on an international flight after 15:00 will need to find their own overnight accommodations in Malé. They will be transferred to the island the following day. Departure transfers from Kuramathi to Male International Airport are scheduled between 06:00 and 16:00, connecting to all international flights leaving from 09:00 onwards. Guests departing Malé on an international flight earlier than 09:00 will need to leave Kuramathi Island 1 day before the date of departure to reach the airport on time. Please note that GST is 12% on all the resort services. The resort offers combined round trip speedboat transfer at USD 99 per adult (12 years old and above) and US$50 per child inclusive of tax. Infants below 2 years old are on complimentary basis." Male Airport to Kuramathi at 10:30 am for flights that arrive between 06:00 am – 10:00 am & 04:30 pm for flights that arrive between 10:00 am – 04:00 pm. Kuramathi to Male Airport at 6 am for flights that depart between 9 am – 05:30 pm & 2:30 pm for flights that depart from 05:30 pm onward. Duration of the transfer is 90 minutes per way. In case of bad weather, and speedboat is unable to travel, guests will need to upgrade to seaplane where the difference in the rate is chargeable. Please note that the taxes [23.2%] will be charged on top of the cancellation fee as well. As per the Civil Aviation Authority of Maldives in accordance with the International Civil Aviation Organization (ICAO), all passengers arriving to the Maldives must be in the possession of a machine readable passport in-order to be allowed entrance into the destination. The Department of Immigration and Emigration of Maldives will not be accepting non-machine readable passports or hand written passports. Honeymoon Courtesies: Flower decoration on bed on arrival, chocolates or macaroons and bottle of wine (minimum 3 nights required). Flower decoration on bed on arrival, chocolates or macaroons and sparkling wine with canapés (minimum 7 nights required). A copy of marriage certificate must be provided at time of check-in. 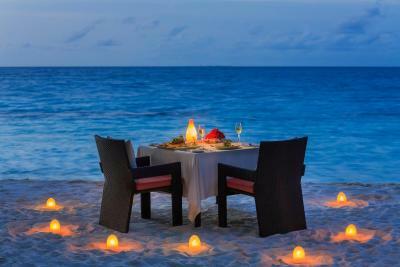 Honeymoon courtesies are only valid for travel within 6 months from date of wedding. 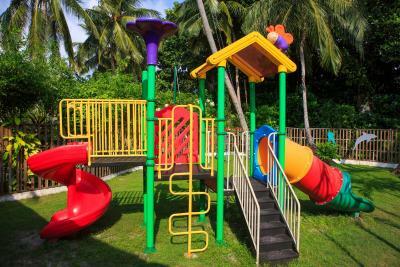 Combined round trip (Male Airport – Kuramathi – Male Airport) speedboat transfer is at US$80 per adult (12 years old and above) and US$40 per child (2 – 11.99 years old). Subject to 10% service charge and 12% GST. Infants (below 2 years old) are on complimentary basis. Boat transfers are available daily on below schedules. Male Airport to Kuramathi: 10:30hrs (10:30am) for flights that arrive between 06:00hrs (6am) – 10:00hrs (10am) & 16:30hrs (4:30 pm) for flights that arrive between 10:00hrs (10:00 am) – 16:00hrs (4 pm). 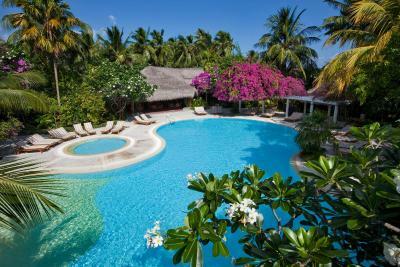 Arrivals after 16:00hrs (4 pm) must book their own accommodations and will transfer the following day to Kuramathi. Kuramathi to Male Airport: 06:00hrs (6am) for flights that depart between 09:00hrs (9am) – 17:30hrs (530 pm) & 14:30hrs (230 pm) for flights that depart from 17:30hrs (530 pm). Please note that our sea plane transfers are subject to 12% GST below rates are inclusive of 12% GST. The WiFi is a joke !!! Excursion center is already book for the time we booked for stay, so couldn’t do activities. Not worth to go here for just beach view. There was no mosque or Prayer Area on located on Map and there was no sign board and Name Plate either. Kindly so necessary action about it. There was limited options for non-Alcoholic Drinkers so add some option in it. Hmmm, full table means, that you always eat in the same restaurant. Food was variable and excellent anyhow. Minibar was quite expensive. 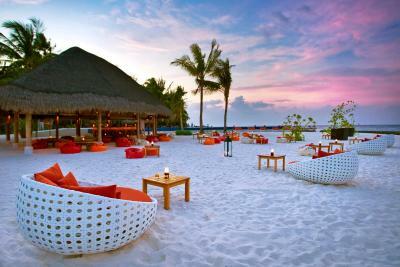 Hard to find too much fault other than cost, but the Maldives are expensive. 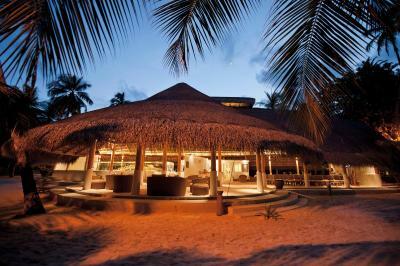 We loved our beach villa. I think it’s probably best to stay on the part of the island we did, which is on the opposite side of the island to the main reception. On the whole it felt quieter. Our room seemed practically brand new; not sure if it was a recent refurbishment but it was really nice. The staff overall for the room and the main restaurant near us were great. The checkout was disappointing. We were late checking in and yet were not allowed lunch or beverages after 2pm on checkout. Our flight was delayed so we didn’t take off until 4 pm with no food. The “all inclusive” should have been spelled out better. Many restrictions on the all inclusive.